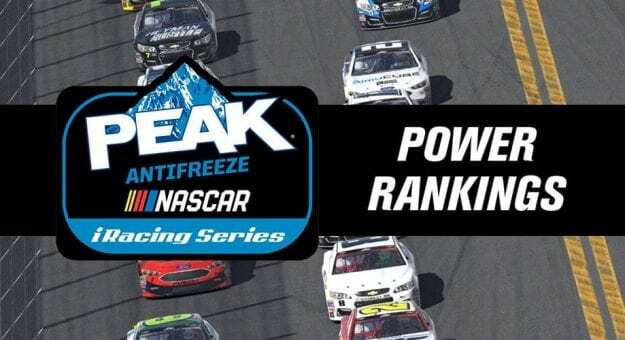 Matt Bussa picked a great time for his first-career NASCAR PEAK Antifreeze iRacing Series victory, locking him into the Championship 4. With one race before the season finale in Miami, there‘s only one shot for the eight playoff drivers to guarantee a shot at the title — that‘s at the Monster Mile. Ryan Luza‘s in solid shape on points, and his lone start at Dover resulted in a victory last year. He‘s a solid bet for Tuesday. The 2014 champ and Dover winner picked a great time to peak (pun absolutely intended), finishing in the top two in three of the last four races, leading laps each time. Conti can breathe easy for one more week since he‘s locked into the season finale. He‘s never finished worse than eighth at Dover in five races. Although he‘s currently holding a Championship 4 position on points, Ray Alfalla needs a win for safety. Unfortunately for Alfalla, he‘s riding a streak of four finishes outside the top 10 at Dover. Where did he come from? Matt Bussa came from 25th to score his first career victory at Atlanta, and Dover marks the first time in his rookie season he can take a deep breath before heading to Miami. Since his breakthrough victory at Sonoma in July, Bobby Zalenski‘s average finish has been a dismal 17.3. Zalenski finished seventh in Dover last year, but he‘ll need to step it up Tuesday if he wants a shot at the title. A third-place effort at Atlanta was just what Nick Ottinger needed to keep his season on track, but he‘s still on the outside looking in heading to Dover. Ottinger will need to bring back his groove from 2013, when he led 157 of 200 laps en route to victory at the Monster Mile. Maybe playing 2013‘s hit “Get Lucky” by Daft Punk during the race will take Ottinger back to such a time. Keegan Leahy‘s untimely collapse continued at Atlanta, where he finished a disappointing 26th. He‘ll need to pull out some magic at Dover to advance to Miami. Nick Shelton finished ninth in Atlanta, but it‘s too little, too late. Like his Slip Angle teammates, he needs a win at Dover to keep his title hopes alive.